The 2,308 acre Burro Mesa Ranch is, acre for acre, one of the best elk and mule deer hunting properties in the Rocky Mountain region. The listing brokers have personally harvested bulls in excess of 350” and bucks in excess of 180” on the property. 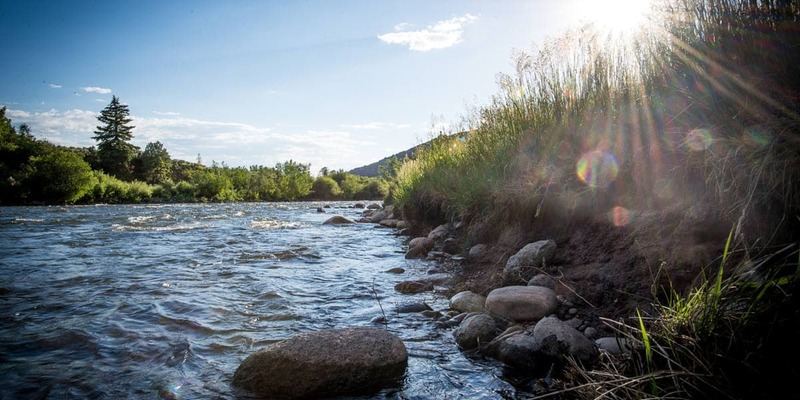 Riverside at Elk Creek Ranch not only affords you the opportunity to be a member of this one-of-a-kind community, but also acquire what is considered to be one of the most prime riverfront home sites on the ranch. Located just south of Hayden and 45 minutes from Steamboat Springs, this property offers that rare combination of scenic open space and wildlife habitat with proximity to world-class skiing. A historic and scenic Colorado working ranch with extraordinary water rights, the Double R Ranch offers miles of trophy fly-fishing along the headwaters of the North Platte River near Walden, Colorado. Near perfection at an elevation of 7,500 ft., this magnificent equestrian estate borders U.S. BLM (Bureau of Land Management) land and offers state-of-the-art horse breeding facilities and an exquisite residence. The Stoneman Lodge at Elk Creek Ranch is situated high in the Elk Creek drainage overlooking the valley riparian zone below. The property enjoys incredible views, a tranquil location, and includes a one-of-a-kind 3,800 square foot modern lodge style home. A great recreational property near Steamboat and Walden, the Wilset Creek Ranch lies in a picturesque hidden valley framed by aspens and situated under Rabbit Ears Peak. A premier river parcel located on the north bank of the White River, Stream View at Elk Creek Ranch also offers membership to this one of a kind sporting community. Osterhouse is a scenic recreational ranch within the pristine Williams Fork River Valley, offering river frontage, meadows and prolific stands of aspen, spruce, pine, and fir trees, as well as adjacency to the Routt National Forest. Lazy Bones Ranch is a perfect retreat for the recreational enthusiast with luxury amenities, just minutes from Denver. With an alpine log home, the property borders Pike National Forest for 1.5 miles. Situated along the coveted Phantom Canyon, Calloway Hill Ranch is a rare find with unprecedented private Front Range fly-fishing on 3.5 miles of the renowned North Fork of the Cache La Poudre River and 275-acre Halligan Reservoir. Cummings Ranch is a 6,710-acre grassland production ranch with 200-acres of State Lease ground located in southern Colorado about 18 miles east of Trinidad, Colorado. With its brilliantly colored red rock formations rising from the lush green meadows, the Sandstone Ranch is quite simply one of the most iconic and scenic properties available in the Front Range of Colorado. This is a recreational paradise on the I-25 corridor just 30 minutes from Denver and minutes to downtown Longmont. Bordered on two sides by the St. Vrain State Park, it is hard to believe that you are this close to everything yet have your own secluded retreat.